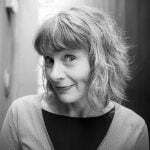 Sarah Pink is design anthropologist, researcher, consultant and thought leader, whose work focuses on scholarship and intervention in the fields of technology design, digital technologies in everyday life and design for wellbeing. She is currently Professor of Design and Emerging Technologies at Monash University, where she is also Director of the interdisciplinary Emerging Technology Research Lab, spanning Monash Art, Design and Architecture (MADA) and Faculty of Information Technology. Prior to this Sarah was a Distinguished Professor in Design and Media Ethnography at RMIT University and from 2016 -2017 DERC’s Director. Sarah’s work engages with contemporary issues and challenges through a dialogue between academic scholarship, applied practice and intervention. She has collaborated with academic and industry research partners internationally. She has been International Guest Professor at Halmstad University, Sweden since 2014 and Guest Professor at Loughborough University, UK since 2012. Her research has been funded by national research councils in Australia, UK, Sweden and Spain, and the EU, and through partnerships with organisations including Volvo Cars, Samsung, Unilever, Suncorp. She has designed and undertaken research in UK, Australia, Spain, Brazil, Sweden and Indonesia, and has collaborated across design, engineering and arts and documentary practice. Sarah is also an international leader in innovative digital, visual and sensory research, intervention and dissemination methodologies. Methodological books include Atmospheres and the Experiential World (2018), Digital Ethnography: principles and practice (2016), Doing Sensory Ethnography (2015), and Doing Visual Ethnography (2013). Public dissemination projects include the Energy and Digital Living web site energyanddigitalliving.com (2014) and co-authored Un/Certainty iBook. Other recent books for Future Anthropologies (2017), Making Homes (2017) and Theoretical Scholarship and Applied Practice (2017).